Our little friend here appeared in many SRDS promotions from the early 1960’s, representing our beloved media planner and buyer users. He looks so cool and collected with his trusty SRDS directory in-hand, doesn’t he? Today, we know it’s a different picture. The suits and ties have mostly become jeans and tees (although those dark-rimmed glasses do look familiar). 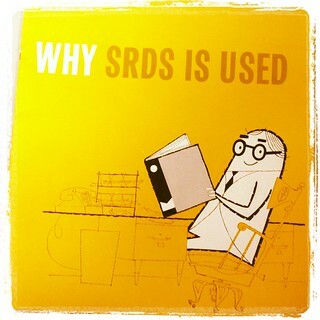 And instead of thick printed directories, all the media planning data you need from SRDS can be found online. What’s great about going through all of these promo pieces from the past is that, even though the times have changed, SRDS is still the resource trusted by media planners and buyers to help build media plans that wow their clients. What do you look like when you're using SRDS.com? We'd love to see who's on the other side of the screen!